If you’re anything like me, you have quite a few books on your TBR pile. Personally, I have books here there and everywhere. And at last count, although not yet complete, I have about 100 books that have yet to be read. So, if I read one book a month it would take a minimum of 8 years to get through my TBR pile. But here’s the problem I keep buying books and therefore the TBR pile keeps growing. 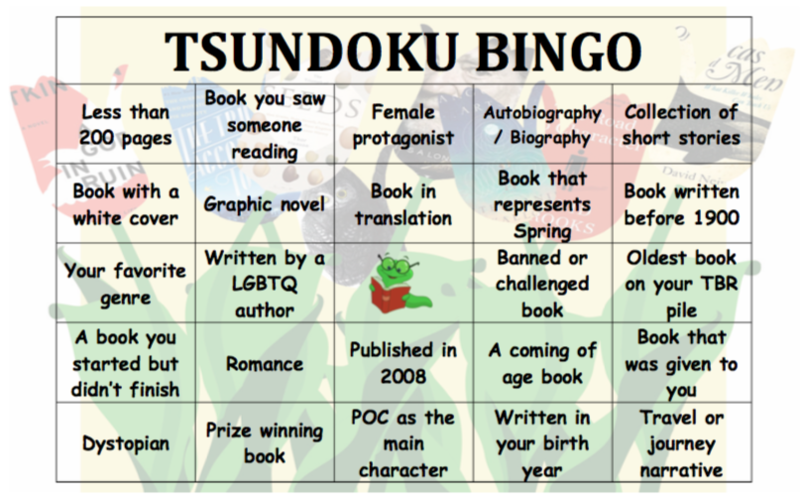 So for this bingo we are going to jump into our pile of books feet first and get to reading like the book worms we are.